Private residence, located in one of the most amazing coastal areas of Cyprus and consists of two luxury villas with five bedrooms each. Protaras is located on the southeastern coast of Cyprus and is considered one of the most popular holiday dest.. 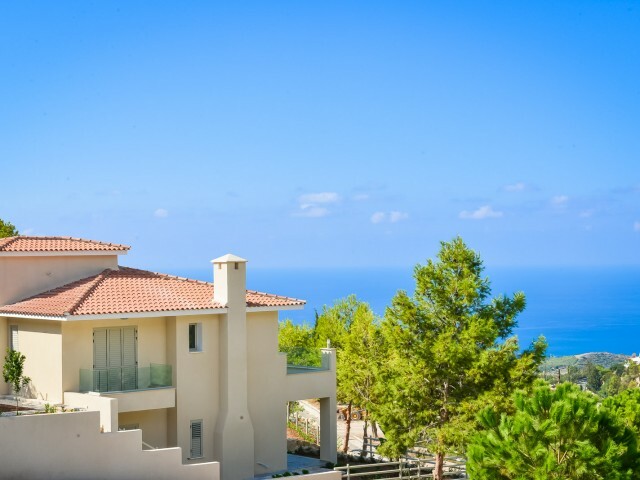 Luxury 5 bedroom house with stunning panoramic sea and mountain views, situated on a large plot of 6800 m² in Parekklisia area. The house includes a spacious living room with fireplace, large dining area, 5 bedrooms with their own bathrooms, kitch.. The unique project consisting of only five private two-storey villas, whose design provides 3 to 6 bedrooms and an additional basement area. 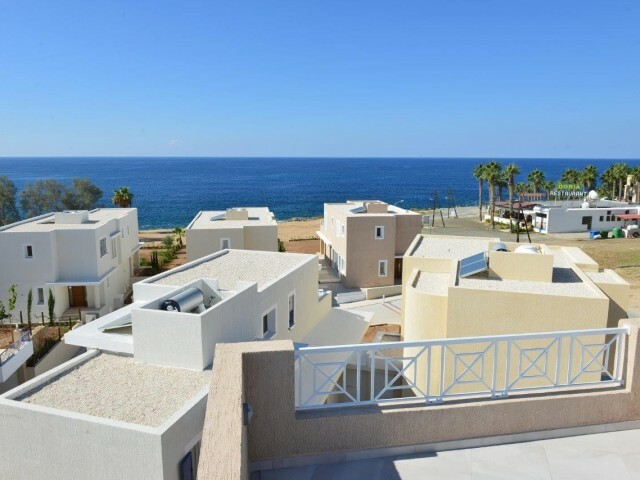 The project is located in the exclusive coastal area, halfway between the picturesque harbor of Paphos and..
Villa with 4 bedrooms located so as to have a picturesque view of the sun-drenched valley and the Mediterranean coast. Spacious living room, 4 bedrooms and kitchen surrounded executed in stone patios and verandas. The decoration of the living room.. 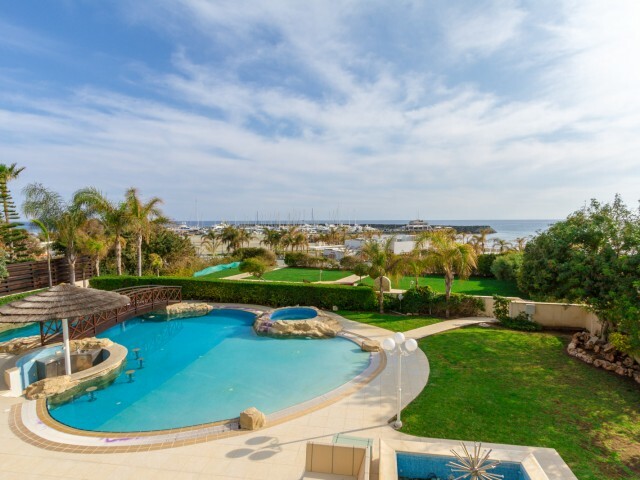 Luxury three-level villa located in the exclusive area on the first line with sea view and in close proximity to the sandy beach of Limassol Yacht Club. Luxury villa in classic style with modern elements. The first floor is occupied by the traditi..
Villa in Paphos with 3 bedrooms in a quiet and peaceful place. Fully furnished with all necessary appliances. Green garden with fruit trees. It offers panoramic views of the sea and the city. Central heating. Title available. .. 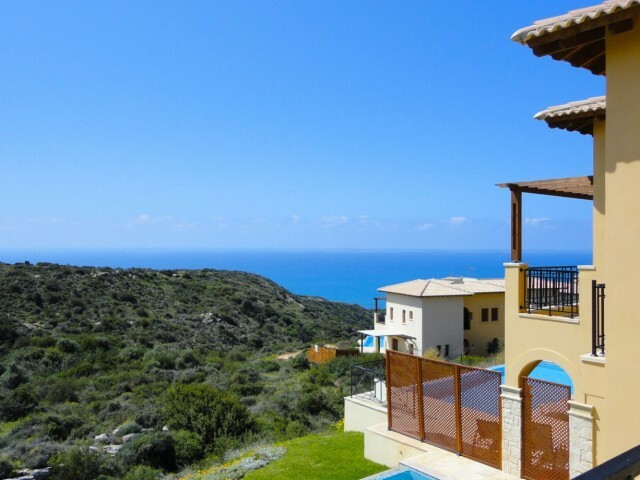 The new three bedroom villa in Paphos, 50 meters from the sea. 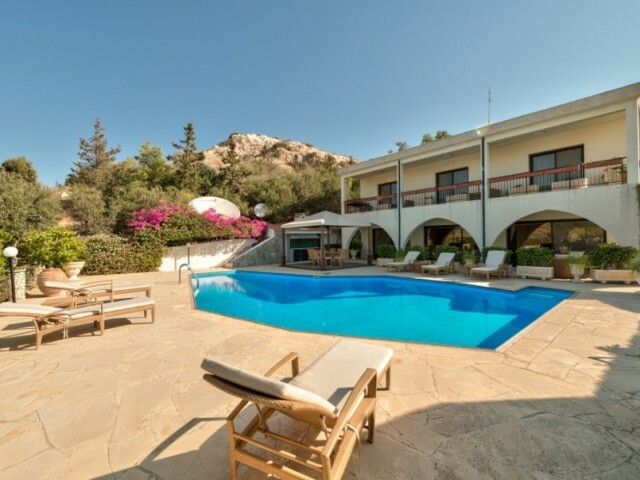 A few meters from the famous beaches of Coral Bay with its turquoise water and sand zolistymi. The complex of 6 villas, 3 and 4 bedrooms, with private pools. The entire necessary infra.. Stylish, spacious junior villa with 3 bedrooms, 3 bath rooms is located on the western plateau, has an excellent panoramic view of the sea and the mountains, there is a private swimming pool with overflow. High ceilings in the rooms give a special.. Elegant and spacious Junior villa with 3 bedrooms, 3 bath rooms on the Western Plateau has a magnificent panoramic view of the sea and the mountains, in front of the house there is a private infinity pool, outdoor dining area, seating area and a w..
Beautiful, well-kept villa with a spacious and cozy 3 bedroom, 2 bathrooms and a private swimming pool is located on the western plateau, it has a fantastic view of the sea and the mountains. Within walking distance is the central village square a..